Depeche Mode’s 1986 album “Black Celebration” turns 28 years old today. I discovered Depeche Mode on August 6, 1985 [my 22nd birthday] when I heard KROQ play “People Are People” on the radio. From that day forward, I fell in love with their music and they went on to become one of my favorite bands of all time. I was at the Tower Records in Costa Mesa, CA 28 years ago today and bought the cassette version of this album, their 5th studio release. I played this album to death over the next 18 months until their next album came out. I still have the original cassette. In July 1996, I went to see the band – my first of nine times – at Irvine Meadows. Playing a good number of the songs, it cemented the popularity of the band and was the precursor to much larger success with their next three albums. Of note that I never realized until recently, the US mix of the song “A Question of Time” plays the opening 4 seconds twice in a row. I always thought it was intentional. This is one of the darkest albums I’ve listened to. That’s saying a lot given there are some pretty dark records out there that I’ve heard over the years. But the construction of the songs is the sound that many of us Depeche Mode fans have known and become familiar with over the years. Songs like “Dressed In Black” and “Stripped” are so deep and twisted, even with “Stripped” being a live in concert staple since it came out. The quirky “New Dress” has a modern “Blasphemous Rumors” lyrical similarity to it, given it’s reference “Princess Di has a new dress” chorus. “A Question of Lust” might just be Martin Gore’s finest vocal moment in a studio recording [“Home” comes very close to topping this song] in his tenor exclaims about unapologetic desire. I listen to this album a few times a year and it stands up very well over time. It’s not dated like “Speak & Spell” can be. It’s modern enough to keep up with some current Depeche Mode songs from the last few albums. Most of the credit goes to Dave Gahan, who’s dark vocals give each one of these tracks that deep down feel of anxiety and far reaching into the mind and soul that cry out each word and spoken thought. If you are fan, go dig out your cassette or CD. Or find $10 and go to Amazon or iTunes and buy the digital version. You won’t be disappointed. One of my all-time favorites. Of course, most of their earlier works are! I think for most of us DM fans, this is a favorite. The Alan Wilder golden years. I miss them don’t you? 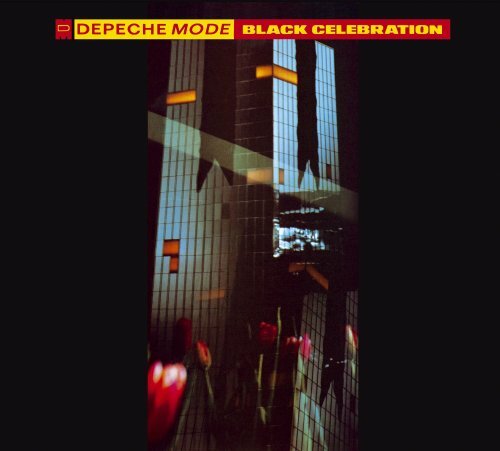 Quite possibly one the best trilogy of albums in modern music began with Black Celebration. Such a good album. Fly On The Windscreen and New Dress are often overlooked classics. On any given day my favorite Depeche Mode album of all time is one of the “golden trilogy” encompassing BC, MFTM, and Violator. I do miss them. And both you and I pine for the any sort of return. I’m still a fan, but even up to SOFAD, I think his impact was noticeable when compared to albums after SOFAD.